We love vintage lighting. A particular favourite this week is this chartreuse lamp from the late 1940s or early 1950s, a period known for its tropical motifs. Reminds me of Dorothy Draper, the great American decorator. It could be Royal Haeger but there is no longer a paper tag to prove it. The vintage fibreglass shade in the same green was a lucky find! 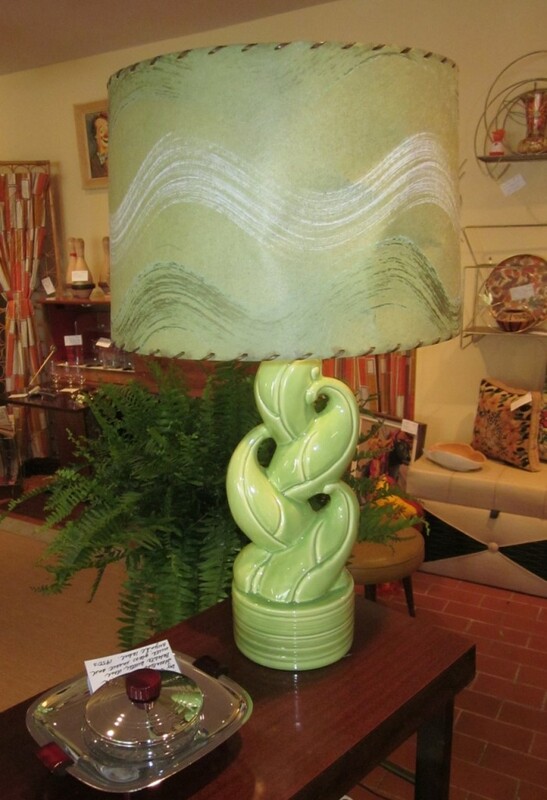 A really pretty lamp when lit, it would be fabulous in your summer sun porch next to your barkcloth pillows. « First Friday TONIGHT June 7th!